After the events of Mobile Suit Gundam Unicorn, the conflict dubbed the "Laplace Incident" ended with the dissolution of the Neo Zeon remnant group "The Sleeves". Both the Unicorn Gundam and the Banshee were sealed away, never to be seen again. With the original draft of the Universal Century Charter revealed, the existence of Newtypes and their promised rights have become known to the public. One year later, in U.C.0097, the world is still largely unchanged. 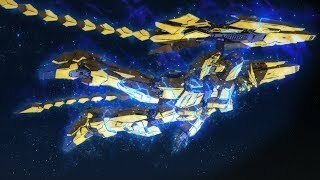 Having thought lost two years ago, the Unicorn Gundam 03 Phenex suddenly reappears.